I am now stuck on this one and would be grateful for some help . 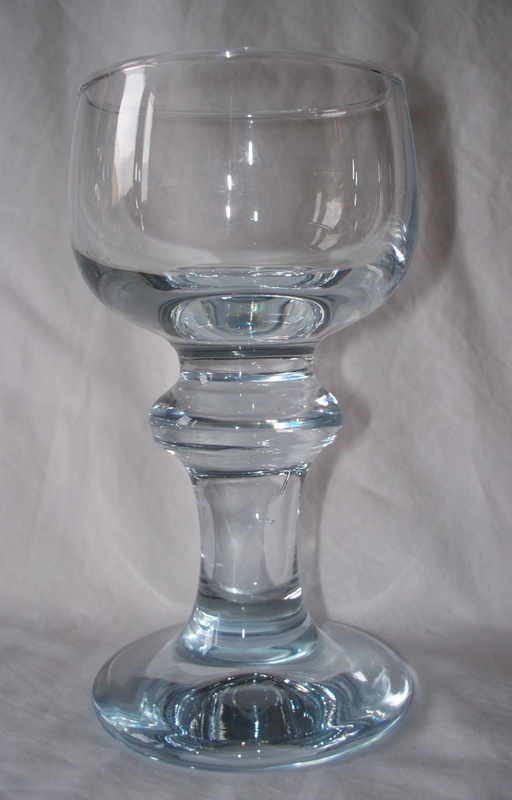 The goblet is made from clear glass with a twang of blue/grey. 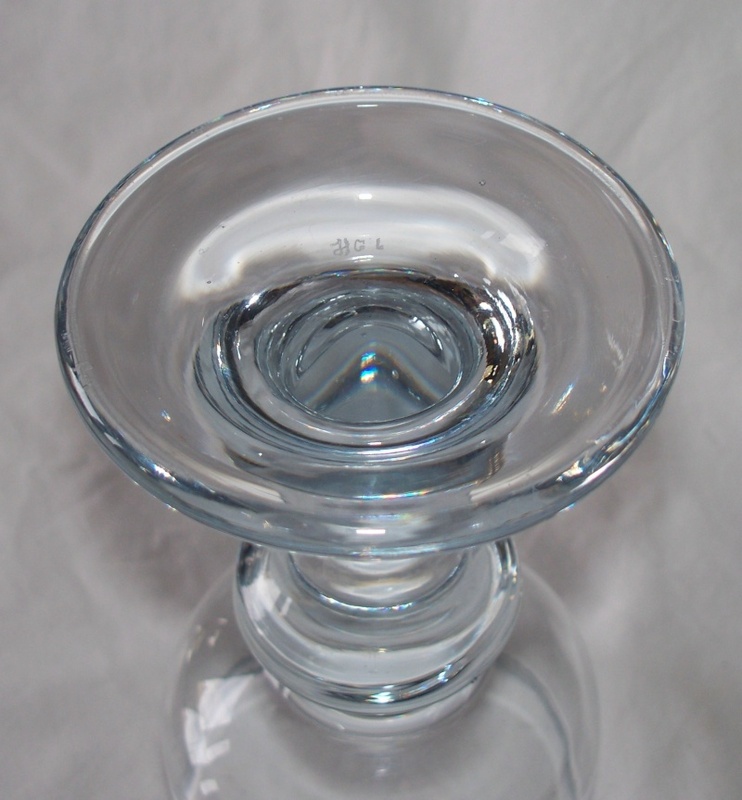 The base has a slight outer lip which it sits on quite steadily with a very smooth indent in the centre. On the base is the letters H G L (I think anyway), im never sure of which type but its either engraved or etched or diamond point ?? in a hand written style. The base lip shows good dull wear so its not new. So far all i can come up with is Heraut & Guignard who signed HG who had bought out Leveille in 1906 signitures HG and Le Rosey art glass and tableware (many thanks to Ivo's book Glass fact file). But I cant find any examples of there work or signatures. Obviously i could be well off the mark with this and the glass is probably something completly different. Holmegaard would be my guess. you know what, i was so wrapped up in the searching i didnt do any thinking , Holmegaard hadnt even crossed my mind. Yup, Holmegaard. 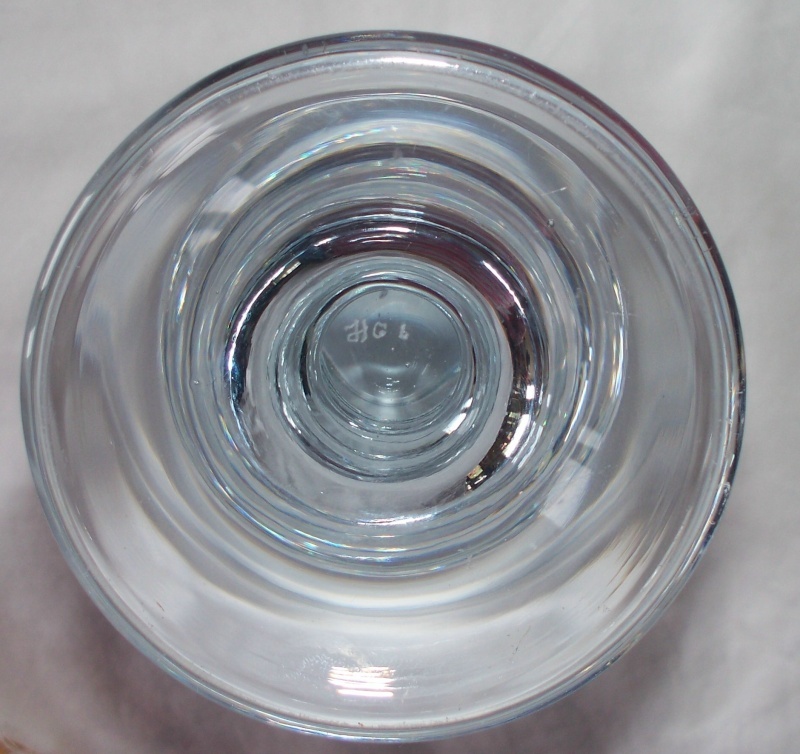 'JÃ¦gerglas' series designed by Per LÃ¼tken in 1974 - probably a white wine glass. The signature on the base is 'HG6', which is the production date code for 1976.
thanks so much Nic, that was fast. I hadnt even got to the holmegaard section on my saved websites in that time. Page created in 0.378 seconds with 27 queries.